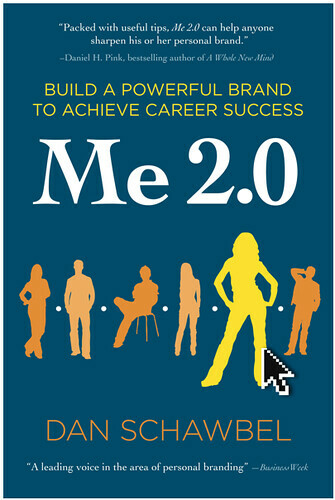 Tag Archives for " Me 2.0 "
Dan Schawbel has turned himself into the leading voice on personal branding for Gen-Y. Want to know how a guy, while at the time still in college, took on and seemingly won such an important marketing niche? (Think there aren’t lots of brands that want to own some 20 something mind share?) He did it with, duh, personal branding, and a ton of persistence and willingness to work his tail off. The guy gets what is to me the supreme compliment a marketer can receive – “I see him everywhere.” But, it’s not just being there, it’s being there on message, on brand, day in and day out. Anyone wanting to understand how to build a brand, personal or otherwise, could learn a thing of two from Dan. For this episode of the Duct Tape Marketing Podcast, Dan joins me to talk about Personal Branding and his very successful book – Me 2.0. If your business brand can be too personal? I’ve expressed some of my own opinions about personal brand vs. business brand in the past, (business isn’t personal) and while I fall towards more of the business brand as a long term entrepreneurial play, there is no question that you can more easily achieve many of your personal and professional objectives by focusing on building a strong personal brand.